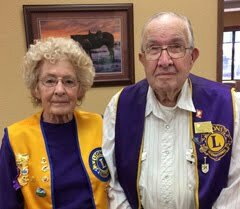 Former District Governor Ken Gifford was in town this week to help both the Belle Fourche Lions Club and the Northern Lights Lions Club with their installation of officers and directors. 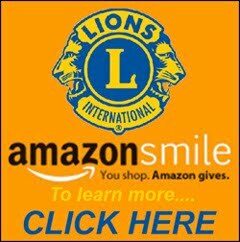 It was the first fall meeting for Lions, which has taken a brief summer respite from regular meetings -- although club projects have continued full force. While some of the installed officers and directors remain the same, there's a new president as Brian Kline (at right in the photo) assumed those chores from outgoing president Ron Ensz. 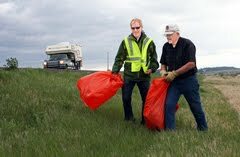 It'll be a big year for the Belle Fourche club, as they begin preparations to celebrate 75 years of service to the community. 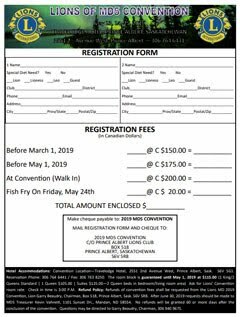 Lion president Kline announced that the 75th anniversary supper is scheduled for October 29th at the country club, and that Lions Ensz, Cooper and Keil have agreed to serve on a committee that that they say is "focused on food"! 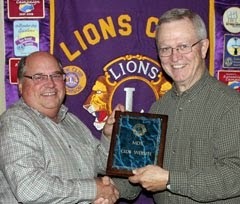 Speaker for the celebratory event will be Lion Randy Heitman from Nebraska, a Past International Director for Lions. Invitations will be going out soon for the gathering, and all members have been encouraged to mark their calendars for this very special date: Saturday, October 29th. And you can watch this web site for details as they become available. The Belle Fourche club voted unanimously to continue participation in the Lions Peace Poster Contest, which offers 11, 12, and 13-year-old students an opportunity to tap their talents in developing posters with a message. 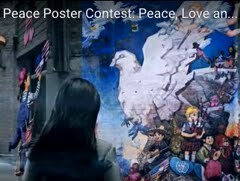 This year, the worldwide theme is "Children Know Peace." More than four million children from nearly 100 countries have participated in the contest in years gone by. 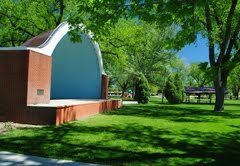 2011-12 will offer yet another opportunity for Belle Fourche students to express their visions of peace. 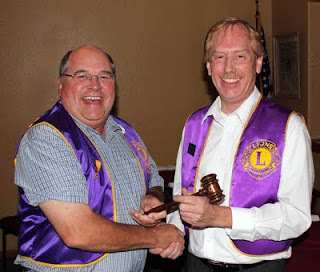 These Lions were installed as new officers and directors for the Belle Fourche Lions Club during ceremonies Thursday (9/8/11) at the Belle Fourche Country Club. 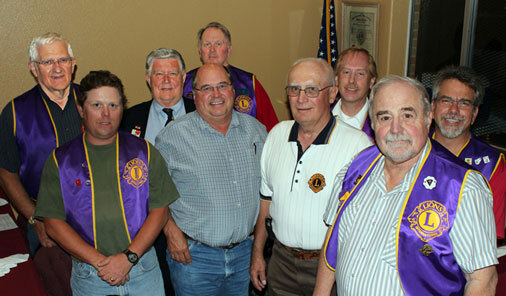 Shown (left-to-right) are: Rich Drabek, Treasurer; Rick Bartels, 1st Vice-President; former District Governor Ken Gifford of Rapid City, who conducted the ceremonies; Ron Ensz, outgoing President; John Cooper, Tail Twister; Gerald Keil, Lion Tamer; Brian Kline, President; Tom Hood, 2-Year Director; and Del Neumeister, Secretary. 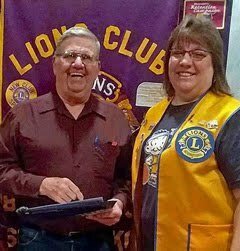 Lion Bill Kunerth received an award for his diligent work in recruiting new members. We captured that presentation on film (okay, a microchip!) 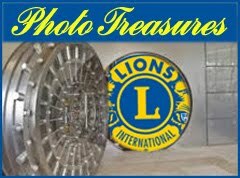 and it's included in our Lion's Photo Gallery, along with a collection of photos from other Lions-related activities. Members were reminded of the Fall Rally at the Ramkota in Pierre on Friday and Saturday, October 30th and September 1st.